Sterling silver meets a uniquely designed heart ring in this sterling silver freeform-art heart ring from Apples of Gold Jewelry. If you love jewelry that is designed with plenty of love and is sure to make the recipient feel special, this is the perfect choice! Designed in .925 sterling silver, which adds shine to the ring, the band of the ring reaches up and above, and showcases a stunning freeform design heart, that is both playful, artsy, and a perfect look to wear on a daily basis. 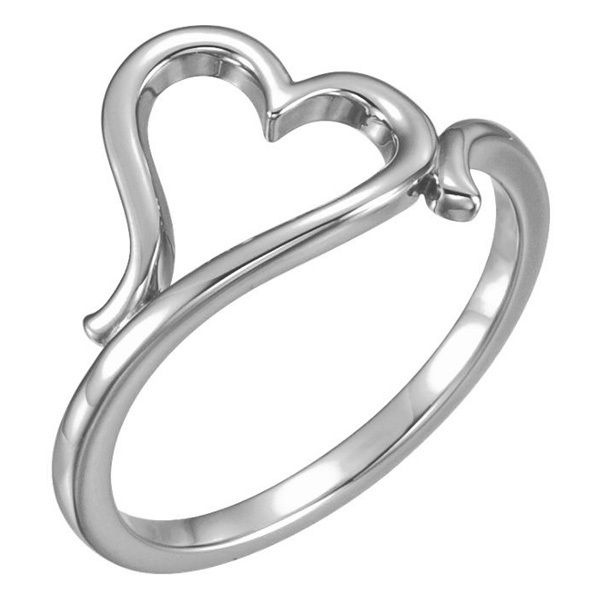 We guarantee our Sterling Silver Freeform Art Heart Ring to be high quality, authentic jewelry, as described above.